Leizhan specially designed low price JB Series Paper Pulp Chest Agitator is used to stir pulp cyclically in square chest to maintain the pulp liquid in suspending condition, which ensures the pulp components even distribution, and it is good for fully reaction of chemical liquid. 1. Mainly used to stir pulp cyclically in chest to maintain the pulp liquid in suspending condition, which ensure the pulp components even distribution. 2. Advanced blade design, strong thrust. 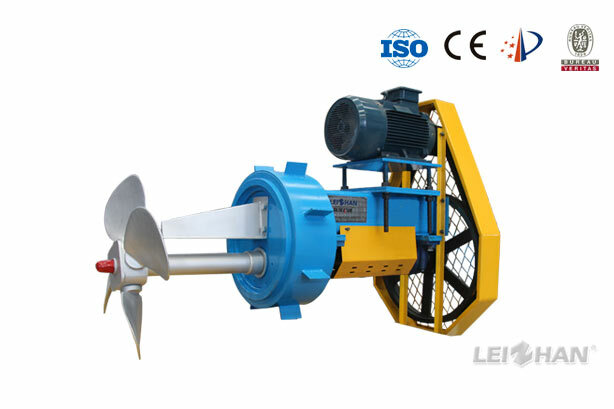 It can be adjusted the angle according to the concentration of the slurry.